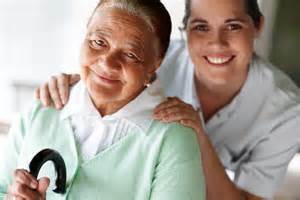 Home Health Management- Recently, a new study has found that hospices are becoming an increasingly profitable business model. In fact, hospices are transforming into a large industry filled with multi-chain and multi-state networks. A new study conducted recently has confirmed that nearly half of patients in hospice care were admitted to agencies belonging to chain organizations. In previous years, smaller non-profit organization provided the majority of care, however, larger chains have exponentially grown in the past half-decade. The study, written by David Stevenson of Vanderbilt University and Jesse Dalton, David Grabowksi, and Haiden Huskamp of Harvard Medical School, was published in the January issue of Health Affairs. The purpose of the study was not to analyze any information regarding the quality of care or length of stay, but to attempt to understand how the industry has shifted in terms of profitability and the business model as a whole. The study seemed to confirm that hospices are continuing to consolidate for the sake of profit and the advantages of larger widespread marketing budgets. An article recently published by Forbes investigated some of the larger chains and how they’ve garnered a large share of hospice patients. “In some cases, corporate hospices are not just growing, they are getting huge. The paper reports that in 2011, the five largest for-profit chains owned 283 agencies with 190,000 patients. But the biggest players have grown even more since. Non-profit care organizations are also attempting to expand their chains in order to keep up with larger competitors, however, they’ve seemingly not seen the same size of expansion when compared to the larger chains. Despite this fact, non-profit chains are still expanding- just not at the same rate. While the paper did not attempt to analyze the quality of care for chain agencies, they did offer some suggestions as to how performance regulations should be implemented and reviewed on a location-by-location basis, rather than the entire chain as a whole. Regardless of size, many care advocates believe that quality of hospice care should be “a mission, not an industry”.